Mr. Peduto’s proposal envisions repurposing money allocated through the federal Section 8 rental-subsidy, under which low-income families pay 30 percent of their income to a landlord, and a voucher pays the balance of the rent. Mr. Peduto wants to subsidize homeownership instead, taking the anticipated value of 30 years’ worth of one household’s vouchers to purchase and renovate a home. Public housing officials would select the homes and finance the work, then set up buyers with a mortgage whose payments would also be set at 30 percent of their income. Both Secretary Castro and his boss, President Obama, have been paying some attention to Pittsburgh lately—for two good reasons. Pittsburgh and the surrounding Allegheny County are hubs of Democrats in “swing state” Pennsylvania. Unlike Philadelphia (the other Democratic hub in Pennsylvania), Pittsburgh and its suburbs are majority white and could become a swing area. In another contrast to Greater Philadelphia, Pittsburgh has been relatively free of the shady dealings that have plagued Democrats in the City of Brotherly Love. In Pittsburgh, Mayor Peduto has been able to create a progressive agenda across race and class lines. There’s a least a superficial resemblance to New York’s Bill de Blasio in that both men come to the mayor’s office with a long career in city government, both more progressive than their predecessors, and both with a housing agenda. “We all ran on similar platforms,” Peduto says. “There wasn’t communication among us. It just emerged organically that way. We all faced the reality of growing disparities. The population beneath the poverty line is increasing everywhere. A lot of us were underdogs, populists, reformers, and the public was ready for us.” With New York being a media capital, de Blasio gets more press, but not from lack of effort on Peduto’s part. Creating homeownership vouchers is far from a fully-fledged plan at this point. At their joint appearance, Secretary Castro did not give any expression of support for the mayor’s ideas. That may be because a policy of pushing housing choice voucher holders into blighted homes in low-income neighborhoods is exactly opposite from what’s being promoted by the Obama administration. Another barrier may be local opposition. Mayor Peduto has already angered local landlords with a new registration program that requires fees and mandatory inspections. It’s also easy to imagine Western Pennsylvanians who are locked out of the home-buying market by tight mortgage requirements looking askance at subsidized opportunities for the predominantly African American households who would be empowered by Peduto’s plan. Lastly, there could be opposition from low-income households who are on the waiting list for housing choice vouchers so they can move to opportunity communities. 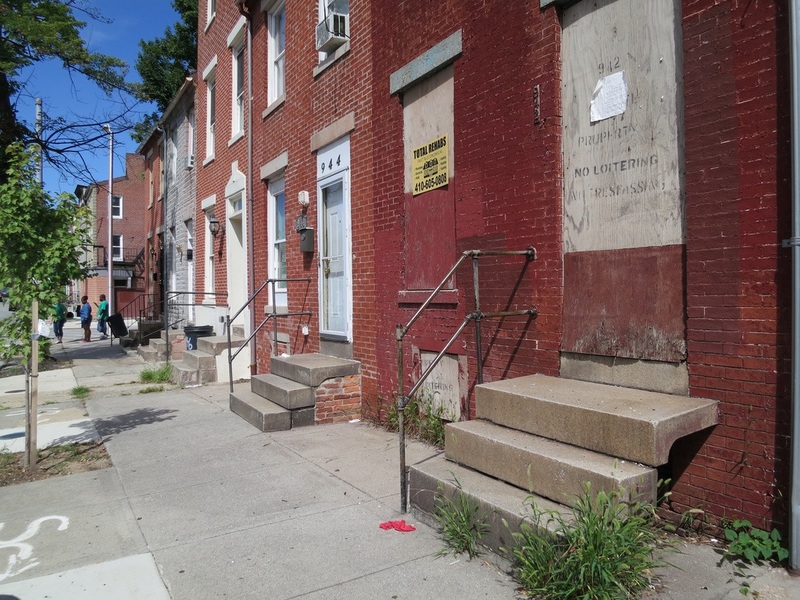 Still, it’s not crazy to think that there may be some ways to empower urban homesteaders to fix up blighted inner-city homes in Pittsburgh. Other municipal tools could be used to support acquisition and rehab. Later this year, funds from the National Housing Trust Fund will be flowing to states. These dollars must be used for households at or below 30 percent of area median income (AMI) and go primarily to “hard” costs like acquisition and rehab rather than housing services. Under current rules, it will be up to each state how to allocate these funds, which are expected to grow each year as the home purchase market slowly recovers from the Great Recession. Another source of support could be “density bonuses.” Like many urban areas, Pittsburgh has experienced a demand for upscale rental properties. A development bonus could give developers permission to build or rehab more densely (i.e., more cheaply) in exchange for a donation to an affordable housing fund administered by the City. Finally, the City could be using some of the tactics honed by municipal land trusts—like tax foreclosure, deed in lieu of foreclosure, nuisance abatement receiverships, and donations from banks—to acquire blighted properties that can be rehabbed.